Halloween is fast approaching and the costume parties and events start as soon as this weekend. So pretty much at this point even if you want a boring manufactured costume, the good ones are sold out. How do you get multiple costume ideas on a budget with barely any time to shop? 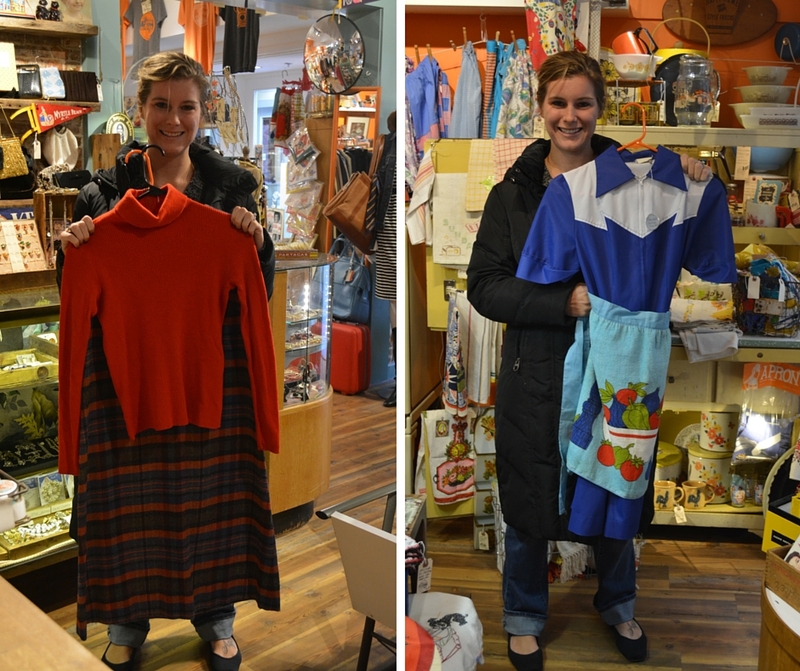 The solution is to meet your stylist friend on your lunch hour to hit up 2 awesome vintage shops in Providence! 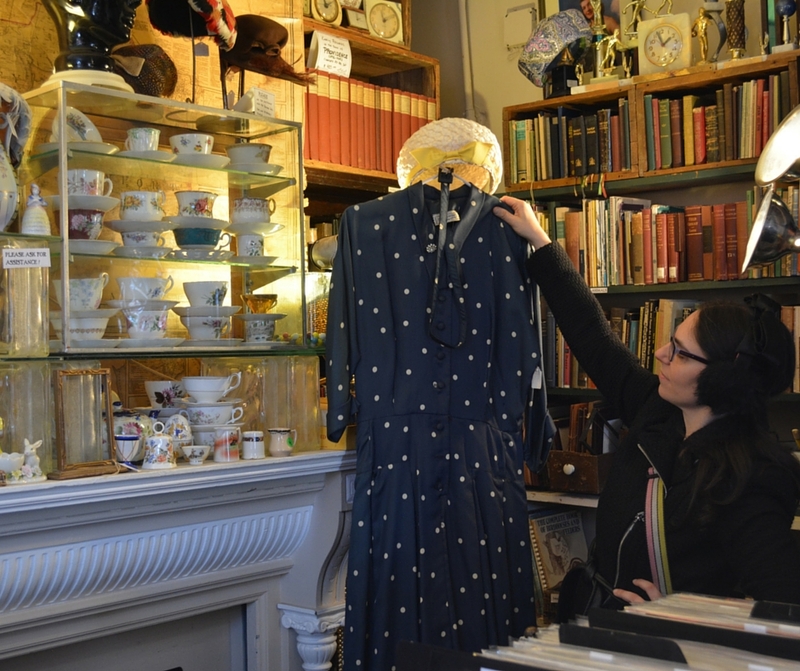 This is exactly what my friend Elizabeth Stone of Mint Leaf Media and I did on Monday afternoon to put together quick costume ideas for her many events. our first stop was what Cheer Records + Vintage on Thayer Street. Usually my go-to for vintage and hard to find records, but what they have so much more to offer! 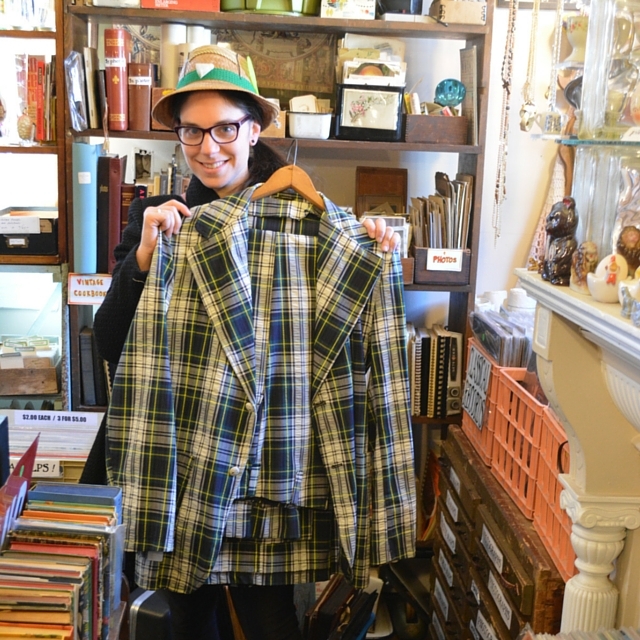 The store is packed with vintage clothing, accessories, and jewelry as well as tons of amazing antiques. 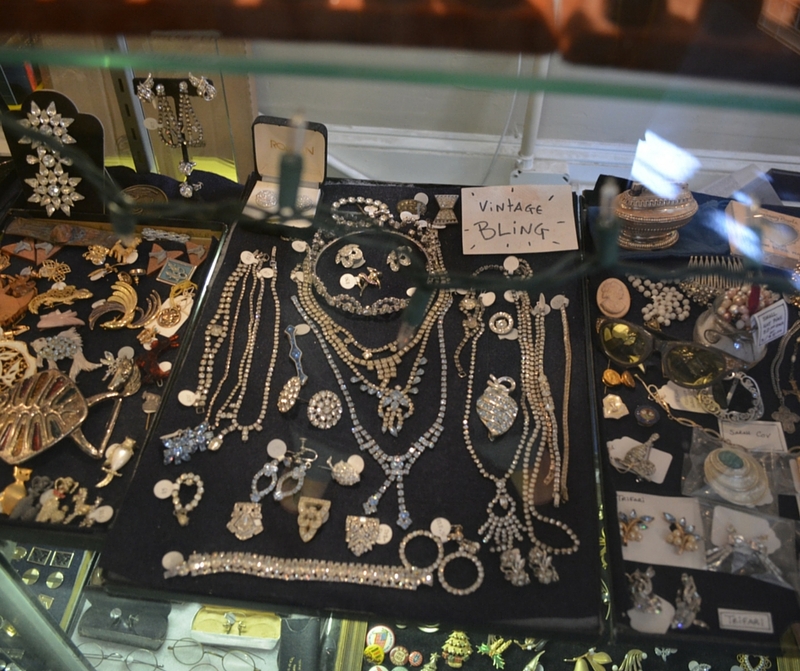 Some other items from the store that will put your costume over the edge - vintage eyeglasses, hats, fabric, and bling! Even if you don't need a costume, do some holiday shopping at What Cheer's Black Friday Record Store Day on November 27th. Also, check out one of the Rock And Roll Yard Sale events they organize in RI and MA. Next, we went to Carmen and Ginger at the Arcade. Super cute and incredibly well organized, this store is perfect for those who want to look and live in vintage styling. We also found - and LOVED - the vintage boots, scarves, hats, and bags. For more vintage and Carmen and Ginger scores, attend the Urban Vintage Bazaar this Saturday, October 24th, organized by the owner of C&G. In addition to the stores in the Arcade, there will be a bunch of vintage booths set up by other vendors from around town. 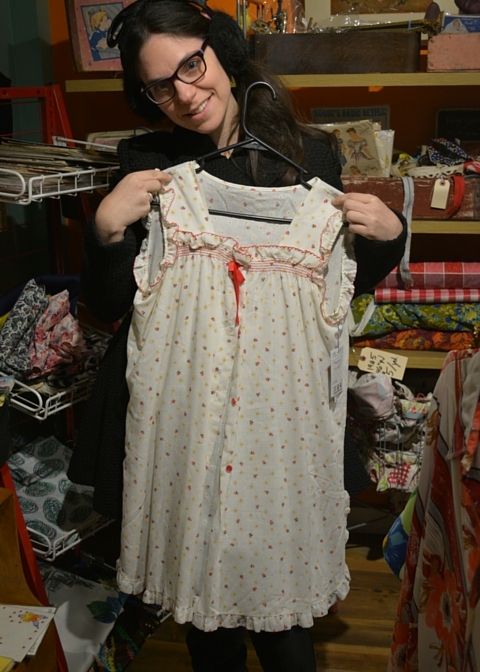 It's a fun event and not to be missed by any vintage lovers out there. Also, if you're interested in knowing more about my awesome friend Elizabeth Stone, check out her website MintLeafMedia.com and sign up for her amazingly helpful $5/month social media tips and tricks newsletter. Seriously, sooooooo worth it!